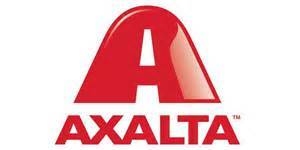 Axalta Coating Systems a leading global supplier of liquid and powder coatings, has launched SEAMLESS Bodyshop Management software for collision repairers into the Australian market. The web-based bodyshop management system aims to improve collision repairers’ effectiveness and efficiency in operating their body shops. Axalta recognises that using a bodyshop management system is fundamental to operating an efficient repair facility, but not all systems are intuitive to use. SEAMLESS has been designed with the bodyshop in mind. As a web-based system, SEAMLESS is easy to implement and accessible on any computer or smart device that has an internet connection. It can be integrated with a bodyshop’s current quoting and accounting packages. It can even be scaled up for multi-site operations. Once registered, Axalta’s dedicated team will work with the customer to personalise set up and provide staff training, either on-site or remotely. The three (3) key modules to the standard configuration include Bodyshop Management, Shop Floor Data Collection and Vehicle Repair Tracking. These easy to use modules provide the shop manager with all the functionality to operate an efficient and smart bodyshop business, with checks and balances along the way. SEAMLESS also provides access to accurate data at the touch of a button, allowing owners or managers to better understand their business and ultimately make smarter decisions.